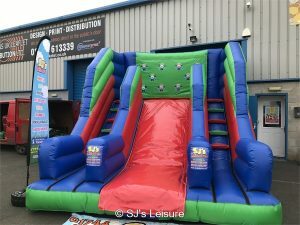 This category features SJ’s Leisure‘s range of inflatable slides. 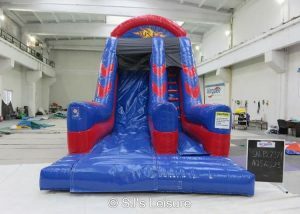 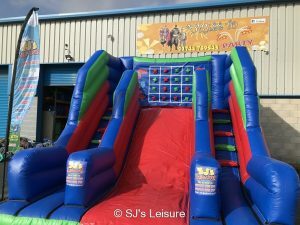 SJ’s Leisure have different size inflatable slides to cater for different age groups. 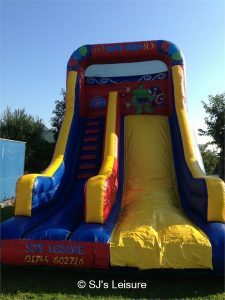 We have some of the highest quality inflatable slides in the area which are extra safe to use! 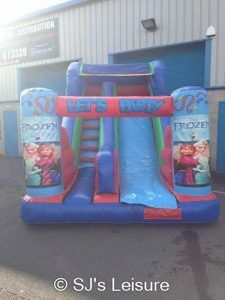 Our inflatable slide hire is available to addresses in Wigan, St Helens, Leigh, Tyldesley, Astley, Widnes, Culcheth, Lowton, Warrington and many other places in Merseyside, Greater Manchester and Cheshire. 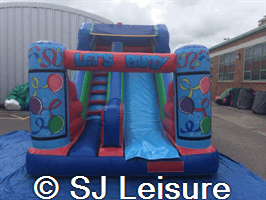 Check out our DELUXE range of inflatable slides for the very highest quality inflatables! 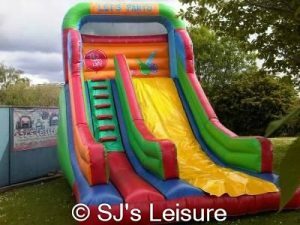 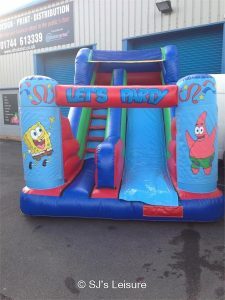 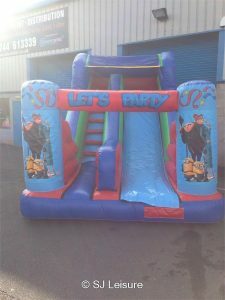 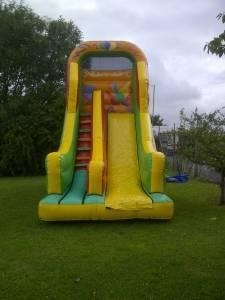 Inflatable slide hire in Warrington and St Helens is very popular for hot, summer days! 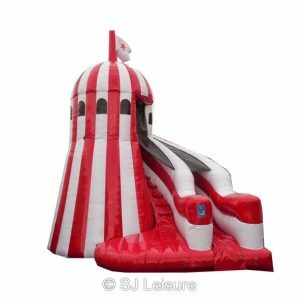 The ‘hottest’ and ‘freshest’ products in the inflatable slide section of this website are the awesome ‘Helter Skelter Slide’ and ‘Inflatable RUSH Slide’. 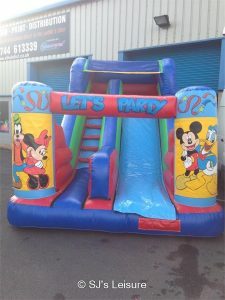 Contact us today on 01744 602716!